And those who came to help save the day didn’t do their jobs: If you blinked you would have missed that Travis Scott and Big Boi performed. Even the gospel choir singer was a struggle — clearly they let the wrong one sing lead on Sunday. It started off on the right note, actually. ‘Harder to Breathe,’ the band’s amazing debut rock song, was rousing as fire blasts shot from the sides of the stage. 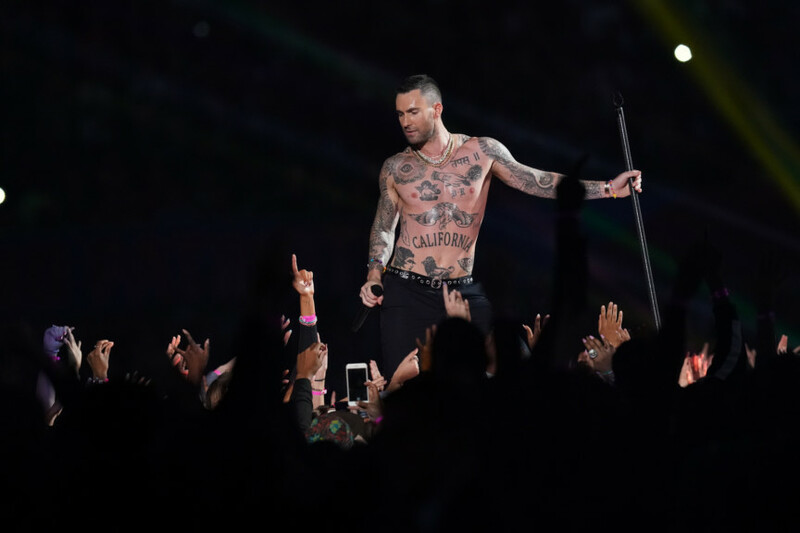 Levine grabbed his guitar for ‘This Love,’ while other bandmates also strummed away. That’s when Scott rocketed to the stage. He tried to rap — most of it was bleeped out — in a circle of fire, but his inclusion felt more like an interruption. 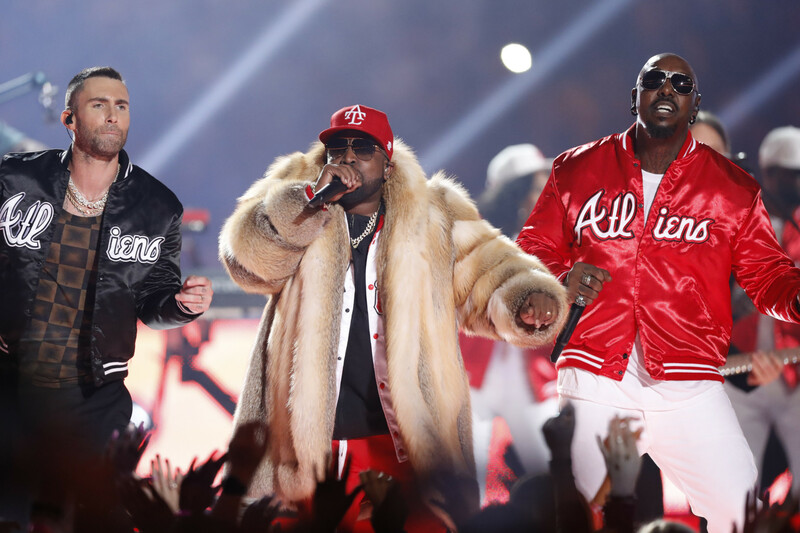 Scott performed his No 1 hit, ‘Sickomode,’ and Levine awkwardly danced beside him, which looked almost as bad as Katy Perry dancing next to Missy Elliott at Super Bowl 49. The rest of the performance went downhill like Scott’s body did. 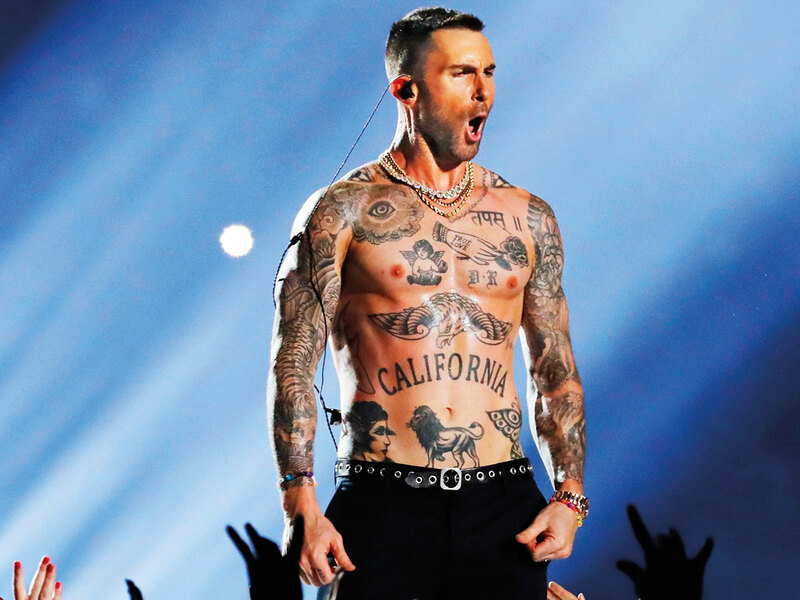 Maroon 5 performed the very terrible hit ‘Girls Like You,’ making the already bad song sound worse by mixing in a gospel choir, led by a singer whose voice would make you walk out of church (sorry, girl). When he performed ‘The Way You Move,’ it just made you wonder what Andre 3000 was doing at the moment. Watching? Sleeping? Probably sleeping while watching. You probably had similar thoughts when Scott was onstage and Drake’s vocals played at the beginning of ‘Sickomode’ — wishing the show had a real superstar like Drizzy to give an epic performance. Those thoughts lingered again when Levine sang ‘Moves Like Jagger.’ WHERE IS MICK JAGGER RIGHT NOW AND CAN HE PERFORM? Any of the Stones would do, actually. 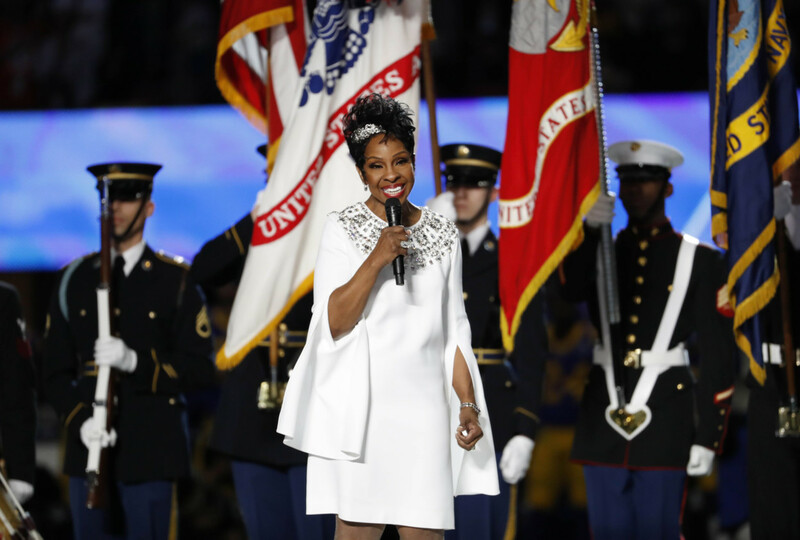 She scored a touchdown with her rendition of ‘The Star-Spangled Banner’: The legend’s voice shined brightly as she hit all the right notes ahead of the big game between the New England Patriots and the Los Angeles Rams. R’n’B sister duo Chloe x Halle were also in top-notch form: They harmonised like a veteran girl group as they sang ‘America the Beautiful’ at the Mercedes-Benz Stadium in Atlanta. The group, nominated for two Grammys at next week’s show including best new artist, are signed to Beyonce’s Parkwood Entertainment.